In February our smooth/standard dance is American/International Tango and the latin/rhythm dance is Cha-Cha-Cha. 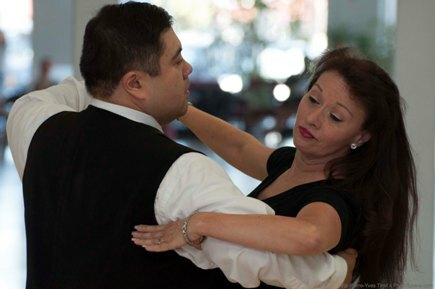 The Tango is very popular and fun, it provides material for both the beginning or advanced dancer. Cha-Cha-Cha can be danced to many latin and contemporary songs. The Cha-Cha-Cha, aka Cha-Cha, is a dance of Cuban origin. The dance consists of three quick steps (triple step or Cha-Cha-Cha) and two slower steps on the one beat and two beat. The Cha-Cha-Cha is in 4/4 time with the rhythm being counted as 2 3 4 & 1, the '4 & 1' are recognized as being the familiar Cha-Cha-Cha triple. Note that the last beat of the triple is the first beat of the next bar. Cha-Cha's continued popularity can be heard in the music of Ricky Martin, Marc Anthony and Carlos Santana. The name of this dance is said to arise from the sound of sandals slapping against the floor in the cha-cha chasse. Classes are canceled on Friday the 1st. The ballroom dance party will be on February 8th. In addition there are additional events this month, see below. 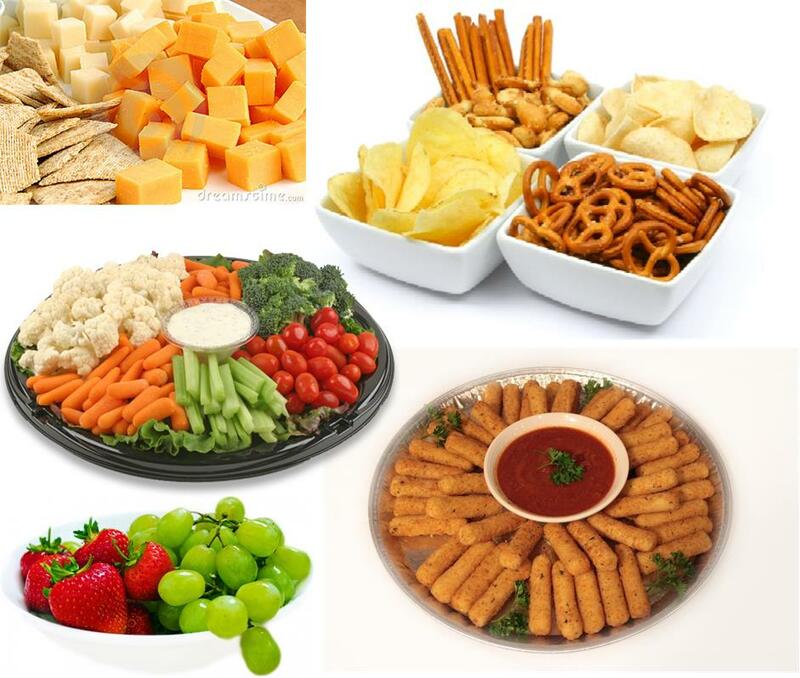 This will be Valentine's Day themed party with extra treats! 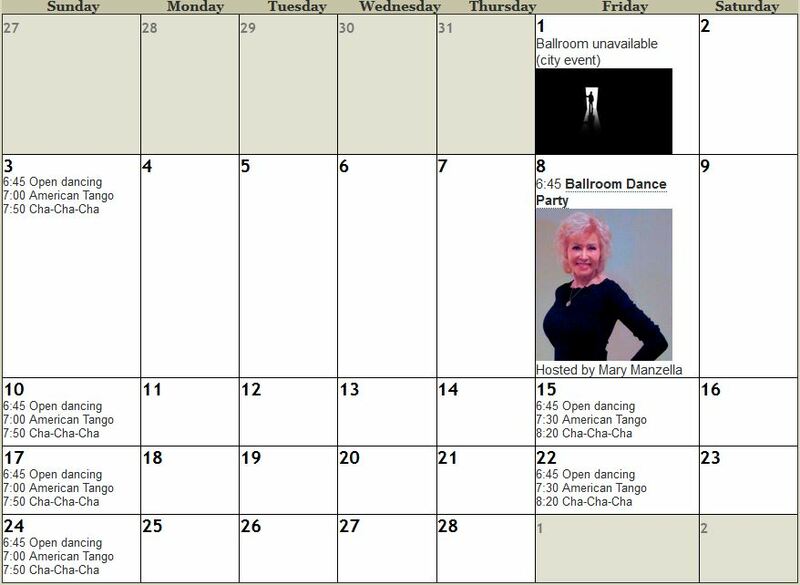 The ballroom dance party will be hosted by Mary Manzella. After moving to San Diego Mary started training at Arthur Murray's. For 12 years she worked as a school teacher while competing professionally in American Smooth and Latin. She is nationally recognized in every aspect of dance, not only as a competitor, but also as a performer, choreographer, instructor, judge and studio owner. She has received special awards for Best Choreographer, Best Showmanship, Best Footwork, and Top Female Teacher. She is a former Western Regional and National West Coast Swing Champion and is a Swing Dance Hall of Fame Inductee. Mary also received A special Certificate of Recognition from the California State Assembly for her achievements and contributions in dance in California. Mary now focuses on her 15 year Wednesday Dance Party at Dance for 2 Studio, Pro-Am competitions/exhibitions, wedding first dance lessons, specialty workshops, and private lessons. Whether Mary is dancing, teaching, choreographing, judging, or entertaining, Mary "Inspires the Dancer Within". 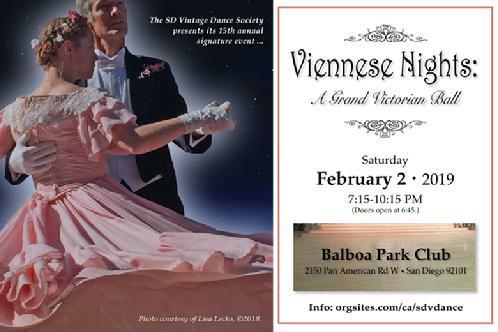 On February 2, 2019 the San Diego Vintage Dance Society is hosting a grand ball where you will experience the enchantment of a traditional Waltz Ball, celebrating the music and dances of the Strauss family and their contemporaries. Doors open at 6:45pm, with music from 7:15-10:15 pm. San Diego's own Grand Pacific Waltz Orchestra, under the direction of Mr. Joe Dyke, will provide LIVE authentic music for Waltzes, Polkas, Quadrilles, Schottisches and more! The fabulous Ms. Joan Walton of San Jose, California is our favorite Dance Mistress for the evening. Ms Walton, an authority on historic vintage dances, will also teach a basic class in "survival waltz", as well as the specialty dances of the evening, in the afternoon prior to the ball. From time to time we have surprise performances from sister vintage dance groups, such as Danse Libre from the Bay area. 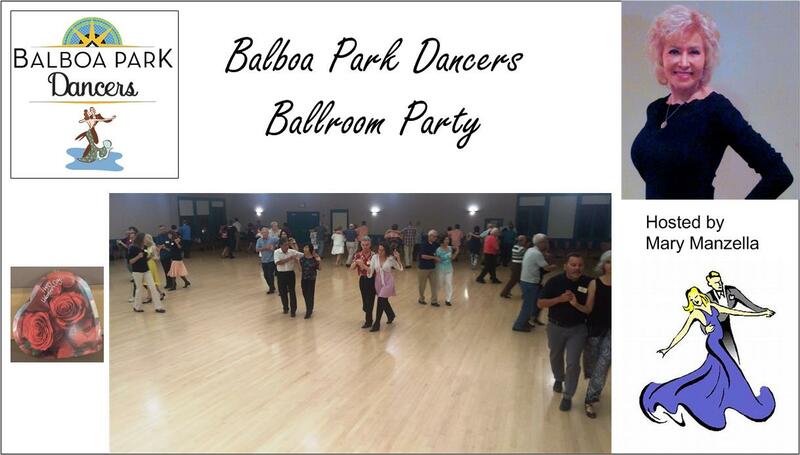 The Ball and the afternoon class will both take place in our favorite grand ballroom, the Balboa Park Club, a 12,000 sf 1915 ballroom in famous Balboa Park, here in San Diego. Class is from noon-2pm, $20pp at the door. Tickets are $35pp prepaid by February 1. Student/military tickets are $25 at the door only with ID. After February 1, tickets are $40pp, and will be available only at the door. Tables of eight are available for $240. Click the photo for more information on place and time or visit Infinity Dance Sport Center. We've set some goals and We all improved!! Now it's time to showoff & celebrate!! Come Dance or Support & Cheer on your dance friends! 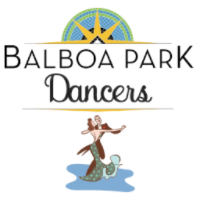 Some of the Balboa Park Dancers will be performing including president Tim Waldowski and treasurer Tammy Ying. 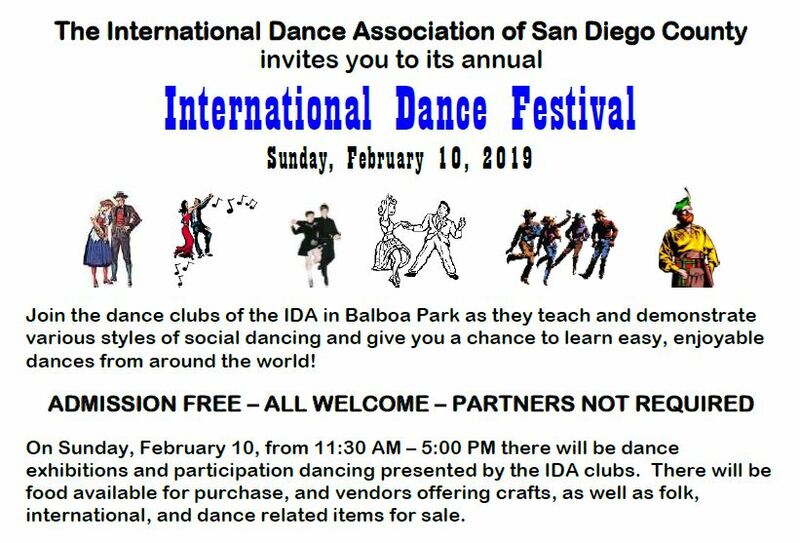 Each IDA member club has a time slot for demonstrating their style of dance. Our advanced class teacher Kurt Popp has his Diversity Dance Sport demonstrating 11:30–12:00. Our club has 4:00-4:30. 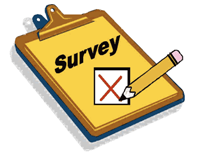 Please visit and support us! 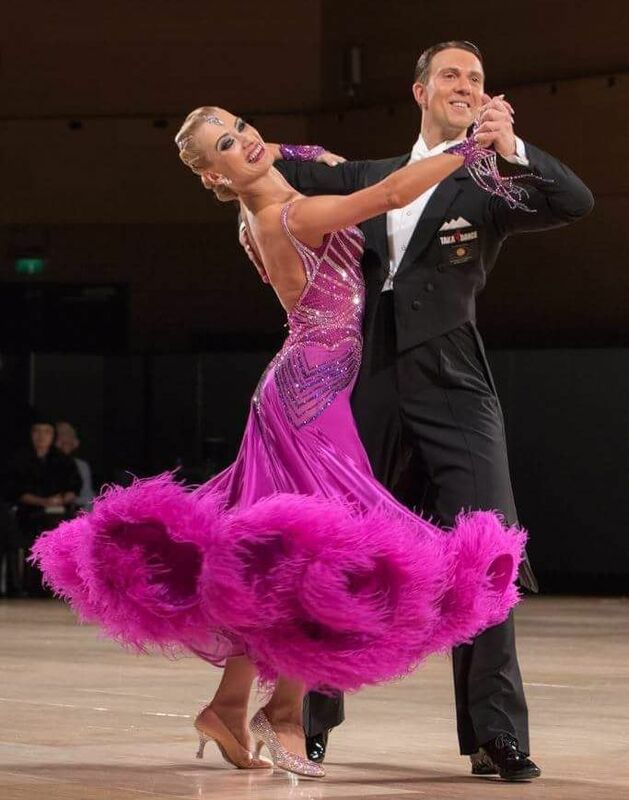 We are a ballroom club and we teach with the intention of everyone improving their skills. I would like to think that everyone would be welcoming to new dancers. Alas I have received comments that on occasion some of our attendees have been less than friendly to the beginner dancer. This is contrary to proper ballroom dancing etiquette and basic behavior. Be nice! It would be helpful if an intermediate class attendee could take a monthly video of Stephen's figures for all to see. Please see a board member or email us at president.bpd@gmail.com.